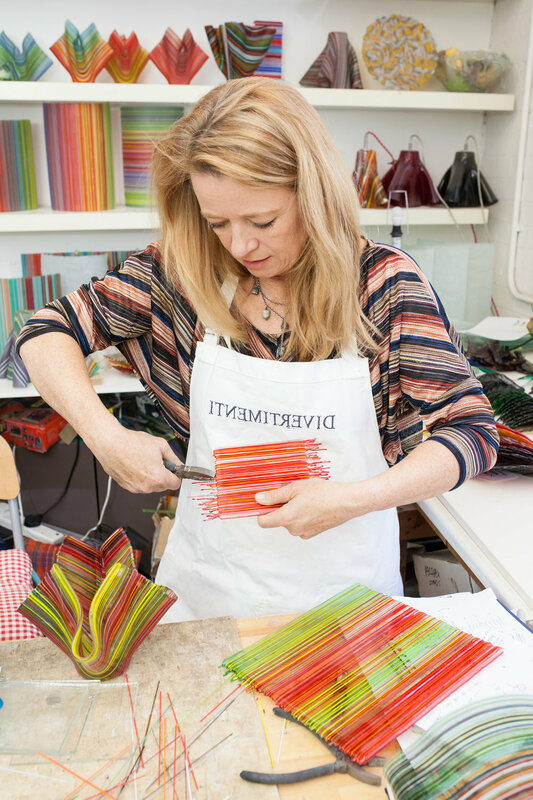 Her inspiration comes from her rural retreats to Dorset. The vibrant palette of beach paraphernalia, seaside rock and windbreak patterns translate with ease into fused glass. The sparkling translucency, the fluidity and the ever-changing colour palette of the sea have immediate relevance to working with kilnformed glass and provide an infinite source of inspiration.